Being bullied at the workplace can be an incredibly debilitating and emotional distressing thing to experience. Often, workers are bullied by their employers. However, coworkers can be found responsible as well. Many who are bullied by a co-worker or employer are often left in the dark in regards to what their options of solution are. Fortunately, with the help of an attorney experienced in work bullying cases, you may be able to seek compensation for the damages that you have had to endure. At California Labor Law Employment Attorneys Group our Los Angeles attorneys have a wealth of experience in representing victims of workplace bullying. Our Los Angeles attorneys can help you sue your boss, employer, or coworker for creating or facilitating this often abusive and intimidating behavior. If you have any questions after reading this article, please feel free to reach out to our law offices in Los Angeles, California, for a free consultation from one of our many well-versed legal advisors. Being bullied in the workplace can include a wide variety of incidents, from being shouted at by a coworker, to experiencing unfavorable treatment from an employer. Workplace bullying can affect the day to day well-being of an employee, and as such can inflict emotional distress, and mental trauma on a victim. Victims of being bullied at work are often unsure of what their options are in finding a resolution to their case. Often victims can jump to taking legal action against their employer. However, other options require less legal know-how and have higher odds of ending in a settlement depending on your specific situation. Unfortunately, bullying is only illegal and like this justified by legal action when it somehow violates federal or state laws that dictate the illegality of discrimination and harassment. Essentially, to file a lawsuit against your employer for bullying you, there must be some form of discrimination evident in your case. Fortunately, this is exactly why Human Resource departments are put in place, to resolve issues before they end up in a courtroom. An HR Representative can not only remedy the issue; they can arrange a severance package which can be paid as a form of compensation if the employee no longer wants to keep this line of work. However, if you are facing bullying in the workplace as a result of discrimination, certain criteria must be met to take legal action against your employer, boss, or coworker. The actions of your employer must show, in some way, that they are discriminating against you based on your religion, disability, race, color, or age. 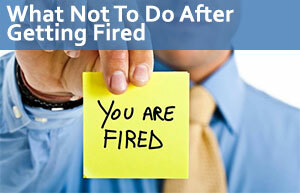 Your employer’s behavior and actions must last for an extended period. As such you cannot sue your employer for one off-handed comment. Any and all incidents where your employer abused you and bullied you should be recorded and filed with your company’s HR department. If your company does nothing or little to nothing to remedy the issue after repeated reports of harassment, you can move forward with legal action against your employer. The actions of your employer must be severe and consistent enough to disrupt your ability to fulfill the requirements of the job, by hindering your day-to-day work. Contact an HR Representative: The first thing you should do is report every incident of abuse to your company’s Human Resources department. These departments are put in place to fight for the rights of their employees and resolve issues of this nature. Often, cases will be resolved at this point as a result of the actions of an HR representative. By reporting your incidents, you not only document the harassment, but you can also show a jury that you exhausted all options of solution before relying on legal action. Collect any and all Evidence: If your HR department fails to remedy the issue, you may need to file a report with either a state or federal anti-discrimination agency. Before you do so, you should gather any and all evidence you need to support your claims. This evidence can include things like photographs, video footage, or audio recordings of incidents of harassment; text messages, phone calls, emails, or other points of contact shared between you and your employer or; eyewitness testimonies from co-workers, customers, or even family members that back up your claims. At this point, you should consult a workplace bullying and abuse attorney in Modesto if you haven’t already. File a Report With an Anti-Discrimination Agency: Before you can file a lawsuit against your employer, you must file a report with either the federally run Equal Employment Opportunity Commission (EEOC) or a state-run agency. These agencies will review your case, and either give you the approval to sue or reject your right to sue an employer. During this period, it is highly recommended that you keep a low-profile at work as you do not want to give your employer any evidence to later dispute your claims in court. Move to Court or Resolve: If the anti-discrimination agency approved your case, you and your attorney would receive a ‘right-to-sue,’ letter, giving you the go-ahead to take your case to court. However, at this point, many cases settle as companies would rather settle a case than expend the exuberant legal fees to fight the case in court. It is up to you whether you want to take your case to court or not, and before making a choice, it is highly recommended that you reach out to your Spanish speaking lawyer for advice on the best course of action. The process of filing a claim against an employer for bullying is no easy task, as any misstep can result in your case being dismissed completely or ending in an unfavorable settlement. For this reason, it is highly recommended that you seek legal guidance from a workplace bullying law firm with lawyers experienced at the rights of employees. Having an attorney for being bullied by your boss, you can better negotiate and argue your case, and increase your chances of reaching the settlement that you deserve. Compensable economic damages include loss of property or damaged property. Compensable non-economic damages include emotional distress, trauma, PTSD resulting from the accident, pain and suffering and anxiety. Victims of workplace bullying can contact our law offices to learn more about how to receive compensation for their injuries. While our law firm is based in Los Angeles, our attorneys also practice in Oakland, San Francisco, San Diego, Sacramento, Orange County, Riverside, Fresno, and throughout the state of California.